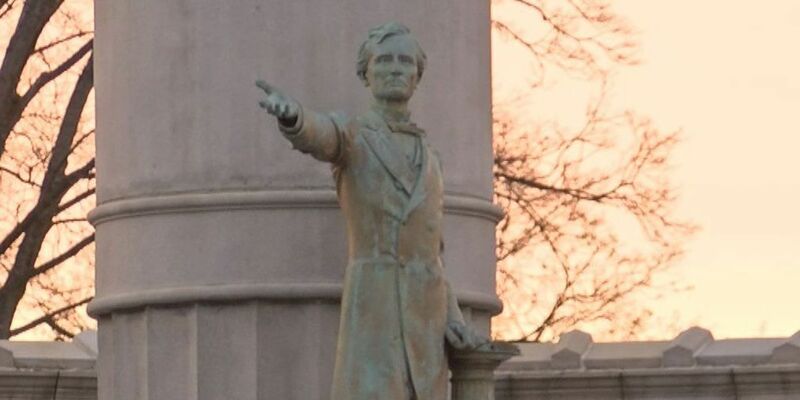 This monument to Jefferson Davis sits on Monument Avenue in Richmond and is protected by the same law as the Norfolk monument. NORFOLK, Va. (AP) - Officials plan to challenge a Virginia law they say keeps Norfolk from moving a Confederate monument. The Virginian-Pilot reports that Norfolk’s city attorney said he’ll move forward with a petition challenging the state law in coming weeks. Meanwhile, a lawsuit filed by two activists seeking to force the city to remove the 80-foot (25-meter) monument was delayed Thursday. The suit filed by Roy Perry-Bey and Ronald Green asks the court to make the city follow through on a resolution to move the downtown monument to Elmwood Cemetery. The resolution, which passed in the wake of the Unite the Right protest in Charlottesville, noted that the city would proceed once state law “clearly permits it.” State code prohibits moving war monuments and officials say conflicting rulings on the issue gave them pause.